I love to DIY my cleaners most of the time. BUT, I always have a bottle of this on hand as well. Sometimes it’s just easier to use this as a base and add my own additions like vinegar and other oils to customize for my needs. Also, I know many people who just don’t like the “make it yourself” option so this is a fantastic way to go and great as-is. It’s super concentrated and lasts a LONG time. 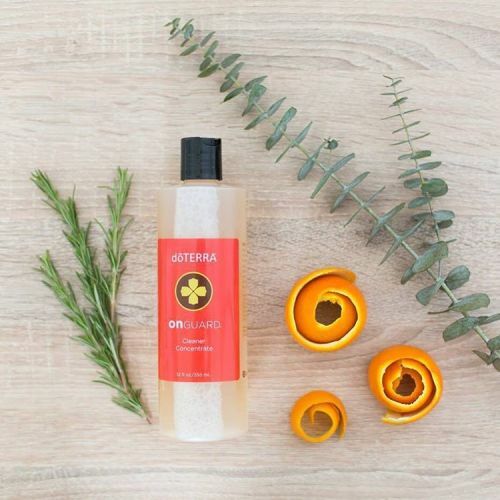 It includes doTerra’s On Guard blend of Wild Orange, Clove, Cinnamon, Eucalyptus, and Rosemary essential oils.